Diaphragm threaded weir valve whose principal characteristic is its thread connection to the pipe. 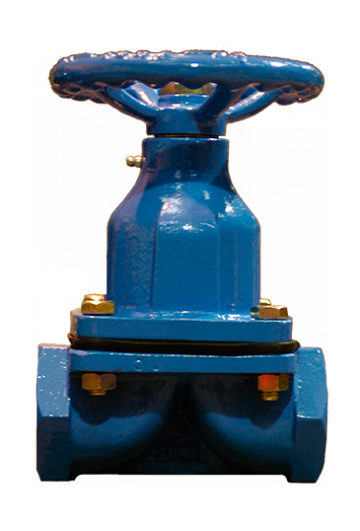 The bonnet is the same as that of the weir type (MODEL 100) for both manually driven and automatic valves. Due to the design of the body these valves cannot be lined. The maintenance involved is just changing the diaphtagm (when needed). It is done by simply removing the bonnet bolts, lifting off the bonnet assembly, replacing the diaphragm, and reassembling. * Special alloys on request. *The abbreviations or the identification colours are in the flap of the diaphragm. *The bonnet diaphragms are always in Natural rubber (BL).